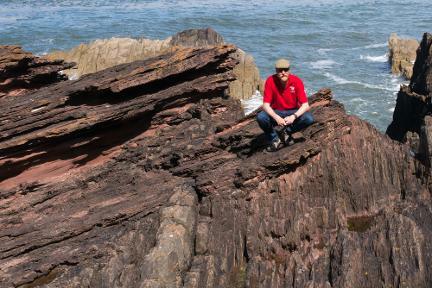 Your guide and GeoWorld Travel's Director, James Cresswell at Siccar Point. Day 1 - Arrive in Edinburgh, Capital of Scotland. Our hotel is on the tram line 15 minutes from the international airport and 15 minutes from the city centre. It is also 200m from a train station. Day 2 - Siccar Point, Forth Bridge World Heritage Site and Cairngorms National Park. Our tour starts with a bang, visiting what has been described as the World's most important geosite: Siccar Point. Siccar Point is an unconformity with Devonian sediments lying on Silurian sediments. It is at this location in 1788 that Father of Geology, James Hutton first realised the enormity of geological time. Siccar Point is 1 hour drive east of Edinburgh. After visiting Siccar Point we double back to Edinburgh area having lunch at the Forth Bridge World Heritage Site. We then head north towards the Highlands, where all the other geosites of the tour our located. Our first stop on our way north is the village of Birnam which is situated on the Highland Boundary Fault, an important geological fault which marks the entry to the Highlands. In Birnam we see the famous Birnam Oak which is mentioned in William Shakespeare's play: Macbeth. We then continue on to the Queens View where we can view Schiehallion Mountain. The mountain is an important geosite because in 1776 it was used in an experiment to estimate the mass of the earth. We then enter the Cairngorms National Park and spend the night at Aviemore. Day 3: Cairngorms National Park, Loch Ness and the North West Highlands Geopark. Our first stop of the day are the Roche Moutonness of Dulnain Bridge in the Cairngorms National Park. These glacially shaped rocks where the first rocks in the world to be given the name Roche Moutonnes because it is thought they resembled whigs that were held in place by mutton tallow. We then leave the national park and pass through the city of Inverness where we pause for a comfort break before reaching Loch Ness. Here we learn about the Great Glen Fault and try to spot the illusive monster! From here we journey on to Lairg and the Ferrycroft Visitor Centre where we learn all about a huge meteorite crater that has recently been found to be lying underneath the town of Lairg. We then continue to the North West Highlands Geopark, fist stoppingn at Elphin for lunch. After lunch we visit the famous Knockan Crag and learn about the Highland Controversy and it was resolved by discovering the world's first identified thrust fault: The Moine Thrust. Our journey then takes us through the Geopark stopping at Loch Awe quarry, Stronechrubie Cliffs and and an important unconformity on the shore of Loch Assynt, before reaching the traditional fishing village of Lochinver where we spend the night. Day 4: The North West Highlands Geopark. Our first stop today is a viewpoint of the Assynt Foreland Mountains which have been voted by the British Geological Survey to be the UK and Ireland's number one Geosite. From here we continue to the villages of Stoer and Clachtoll. Here we can see 1 billion year old Torridonian sediments lying uncomforambly on a surface of 3 billion year old Lewesian gneiss that has extreme topography, with deep canyons. 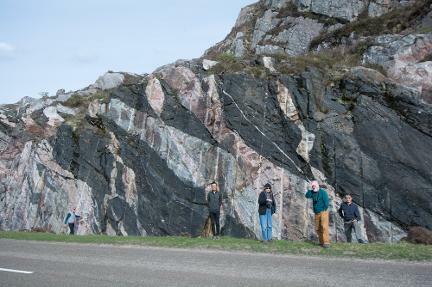 We also take a 20 minute walk (each way) to see the ejecta deposits of the Lairg meteorite. 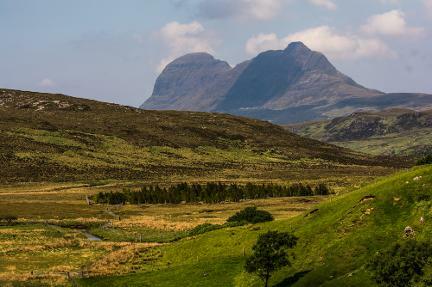 We then travel back to Loch Assynt and north through the Geopark to see the Glencoul Thrust Fault and some of the most gazed-upon views in Scottish geology. We then stop at the nearby North West Highlands Geopark Visitor Centre for lunch. After lunch we visit Scourie to see the oldest rocks in the British Isles: the Scourie Gneiss (part of the Lewisian gneisses) which are 3 billion years old and are cut by the remarkable Scourie Dykes that are 2 billion years old. This is followed by the 'Multi-coloured Rock Stop' which is Laxfordian gneiss (also part) of the Lewisian and cut by a Scourie dykes and granite dykes. We then reach the north coast of Scotland and at Sango Bay can both look out to sea towards the Arctic and observe a special type of rock called 'myonites' which were formed by the Moine Thrust. 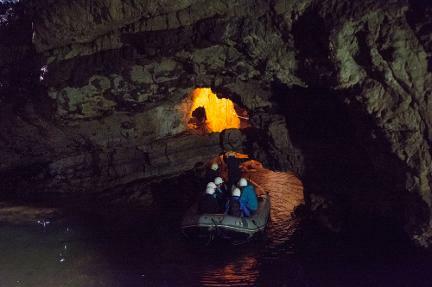 We also visit Smoo Cave where guests capable of climbing down a ladder can take a short boat trip into the inner reaches of the cave. We then head back south again stopping at Ardvreck Castle on the shores of Loch Assynt on our way to Ullapool where we spend the night. 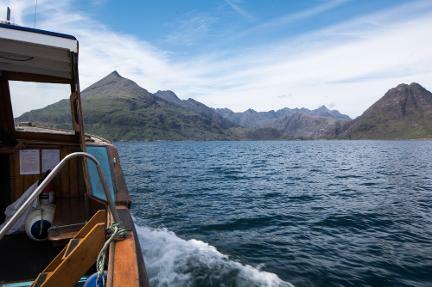 Day 5: The road to the Isle of Skye, and a boat trip to Loch Coruisk in the heart of Skye's Black Cuillen. Today we head south towards the Isle of Skye. En-route we stop at the magnificent Corrieshalloch Gorge, where melt water at the end of the ice age calved down a deep gorge as the surrounding land was rising upwards due to isostatic rebound. We also stop at Plockton for fine views of the geology before reaching Kyleakin on the Isle of Skye where we stop for lunch. We then continue to the pretty fishing village of Elgol, where we take a boat trip with Misty Isles to Loch Coruisk in the heart of the Black Cuillen Mountains. 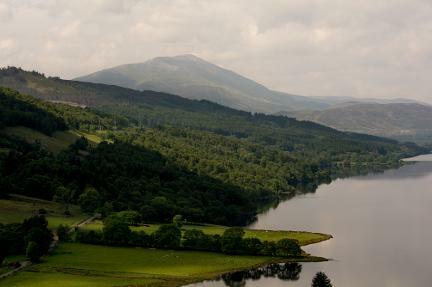 These mountains are perhaps Britains' most spectacular and are made up of the eroded magma chamber from a volcano that was active during the splitting of the Atlantic 55 million ears ago. We have 1.5 hours ashore and as well examining the layered gabbros we see many glacial erratics and admire the glaciated scenery. There is also the opportunity to see many seals. 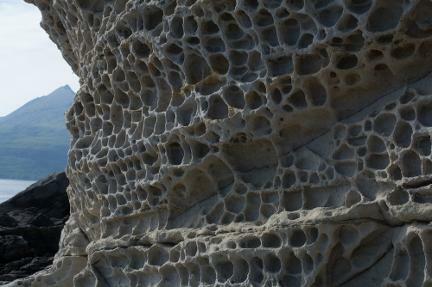 On our return to Elgol, we stop to see Honeycomb weathering in the Jurassic sandstones. We then sleep the night in Skye's main town Portree. Day 6: The Isle Of Skye's Dinosaurs. The day is spent on the Isle of Skye exploring the north of the island where many Dinosaur footprints have been found in the Jurassic sediments. Depending on tide conditions we will attempt to see some of these and also visit the Dinosaur Museum at Staffin. Additionally we will see the Trotternish landslip and the Old Man of Storr. At the end of the day we will leave the Isle of Skye by ferry and sleep on the mainland in the port of Mallaig which is in the Lochaber Geopark. Day 7: Fingal's Cave and the Lochaber Geopark. We start the day driving through the Lochaber Geopark to reach Kilchoan on the edge of Ardnamurchan volcano. 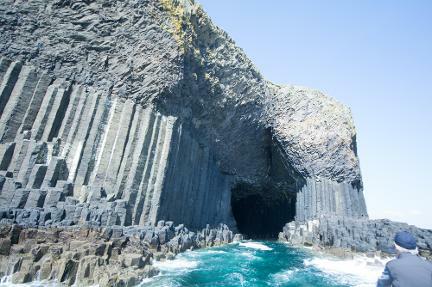 Here we board a boat and take a tour to the legendary Fingal's Cave on the island of Staffa. 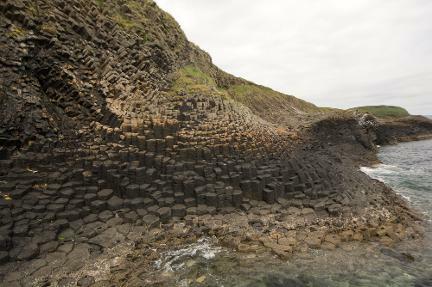 Here we see the incredible columnar basalt. 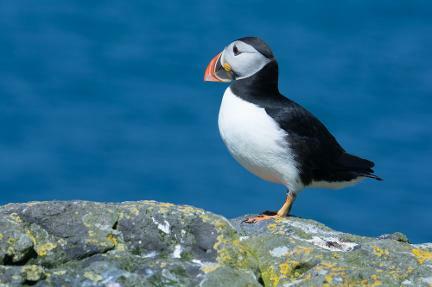 On the tour we also stop at the island of Lunga in the Treshnish Isles see puffins and thousands of breeding guillemots. On our return to Kilchoan we examine the Ardnamurchan volcano which like the Black Cuillen is the eroded magma chamber of a tertiary volcano. We then continue to the village of Strontian after which the element Strontium is named. Strontian is also located in the Lochaber Geopark and here we spend the night. 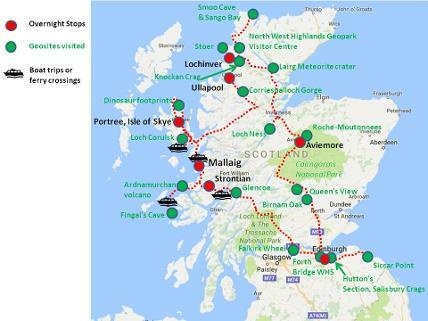 Day 8: The Lochaber Geopark, Loch Lomond and Trossachs National Park and Edinburgh. After leaving Strontian we take the Corran Ferry across Loch Linhe and stop at Ballaculish where we visit a slate quarry. After the quarry we head into the dramatic Glencoe. This spectacular glaciated valley is cut into the remains of an explosive Devonian volcano that once had an enormous eruption. 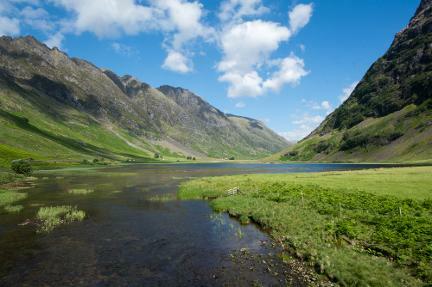 In Glencoe we stop at several sites, seeing rhyolite, waterfalls and the amazing views. 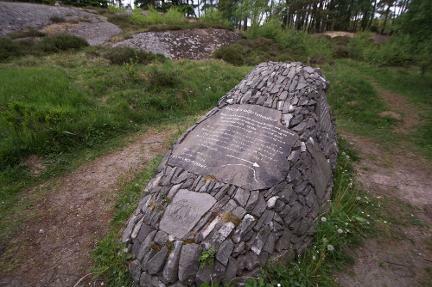 We also learn about the violent history and the Massacre of Glencoe. We then leave the Locaber Geopark and travel on through the Loch Lomond and Trossachs National Park making a short comfort stop, before stopping at the Falkirk Wheel. This is an ingenious lift that raises boats from one canal level up to another. From here we continue to the city of Edinburgh where we have one final stop: Hutton's Section on Salisbury Crags. Salisbury Crags and Arthur's seat are the remains of a Carboniferous volcano and are right in the heart of Edinburgh. At Hutton's section we see how dolerite forced its way into the surrounding sedimentary rocks as a sill. James Hutton was the first to describe this process. We then end our tour at a nearby hotel where we spend the night. Day 9: Edinburgh and Departure. The tour officially ends after breakfast and you are free to depart, perhaps by taking a taxi to Waverley station for train connections to the rest of the UK and tram connections to the airport. However it is highly recommended that you stay one or two extra days in Edinburgh to explore on your own. The city centre is a World Heritage Site and is built on two Carboniferous volcanoes sculpted by glacial ice. Edinburgh Castle is built on top of one of the volcanic vents and Arthur's Seat is the other volcano. The National Museum has an excellent geological exhibition as does the Dynamic Earth Museum. For fit people climbing Arthur's Seat is a fantastic thing to do. Additionally the National Mining Museum of Scotland is 10 miles from the city and can be reached by bus, train or taxi. Geological guiding from an MSc Geoscientist, with bed and breakfast accommodation in 3 Star hotels or equivalent normally with en-suite bathrooms. Transport including flights to and from Edinburgh, evening meals and lunches. 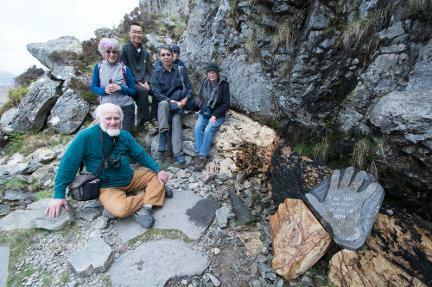 "We had an absolutely wonderful time on 'The birth of Geology tour' of Scotland. The trip exceeded our expectations. When we returned home, I found myself telling friends how around every bend in the road we were greeted by a 'million dollar view'. The striking combination of white sand beaches and steep cliffs at Clactoll and Sango Bay, the desolate and beautiful Rhiconich, sparkling waters surrounding the towering Red and Black Cuillins, I could go on and on. Our trip was enjoyable due, in no small part, to the small number of people (6) in the group. We all got along and had many great discussions. It was a personal and authentic experience that did not feel rushed. Our tour guide James was easy going and flexible often letting us vote on what we would like to do (supper, length of time at a stop). The tour is best summed up by the bittersweet feelings I had on the last day - I found myself feeling so sad this tour was ending but I couldn't stop smiling thinking of all the great memories made. We owe a very big thank you to James - our charismatic and knowledgeable tour guide. Best of luck in the future growing your business!" 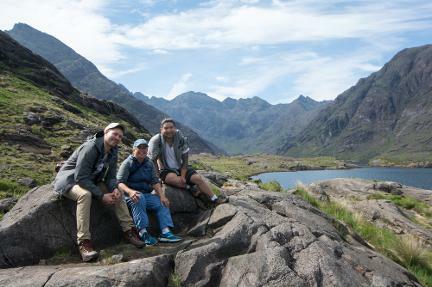 "We went on Scotland Geo trip, and James took us around Scotland's most significant Geo sites. Tour was great. James took care of little details and engaged our entire group in Geology, and casual conversations, throughout the trip. I admire his stamina! He also brought along reference materials for us to read up should we like to learn more. Excellent tour!"